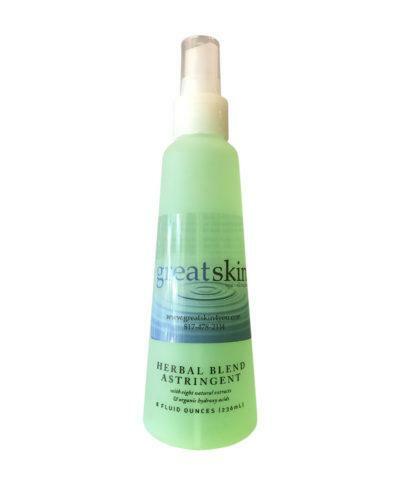 This Herbal Blend Astringent provides natural astringent properties to combination, oily and problem skin. All of the selected extracts help clarify and condition the skin while giving the skin a revived and refreshing feel. Essential Oil scented. USE: Apply twice after thoroughly cleansing the skin. Apply with flat cotton sheet all over face and neck. Follow with moisturizer. Can be sprayed on the face. Avoid eye area. BENEFITS: This Herbal Blend Astringent has a blend of eight extracts to balance, tone and clarify your delicate skin. 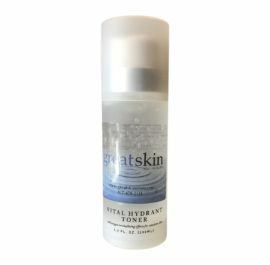 Organic salicylic acid (willow bark) is added to enhance this formula. As one of the most effective hydroxyl acids, willow bark can increase cell renewal without the risk of irritation. Willow bark is also known for its antiseptic, astringent and anti-inflammatory properties. This blend of extracts is cold processed and contains no alcohol.